VM 400 is an 300MHz Intel Celeron based media player which has an internal power supply, no fan, internal 802.11b on PCMCIA and runs Windows CE 5.0 from 32MB of flash memory. 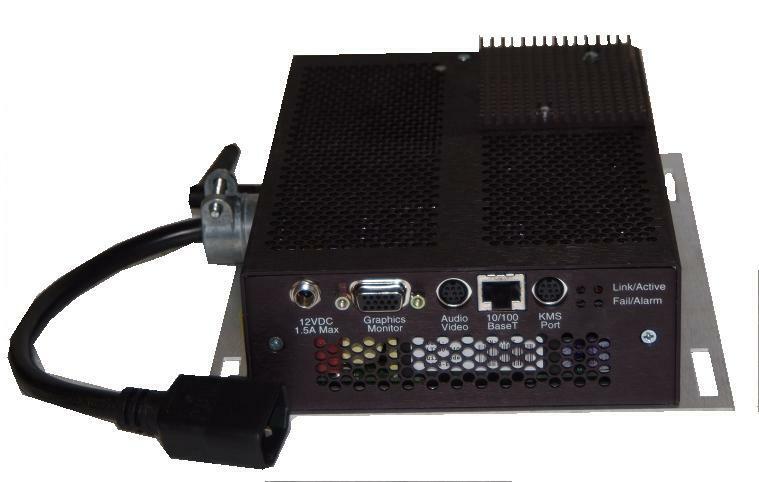 VM 500 is a 650MHz Low Voltage Intel Celeron based media player which has an internal power supply, no fan, internal 802.11b on miniPCI and runs Windows CE 5.0. Smaller faster and cheaper than the VM400. Audio is an option. 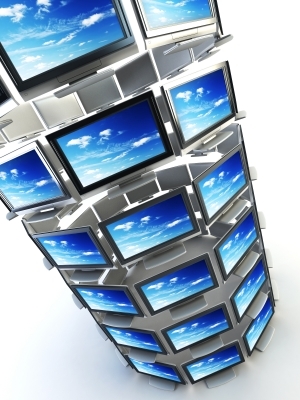 Video scaled output on LVDS or TTL for direct connect to an LCD panel is also optional. For an application where the media player has to be installed in part of the plasma mount bracket, PD300 was designed with a fan and air filters to suit the environment. A hard disk can be added. Runs Windows XP or Windows CE. Including a 2.5" hard drive or Compact Flash memory and running Windows CE or XP, PD510 is the current digital signage platform for WebSign. With a 650MHz Celeron, up to 512MB of memory and 802.11a/b/g on an internal miniPCI card, PD510 runs from an external 12v power supply. A more powerful solution for Full HD Video and Graphics based on desktop design in a small form factor for Digital Signage applications. The original DVC Product, the AVIS800 is the enabler for the DEC Local Cable Advertising system. It handled video processing and DTMF tone detection. Integrating 4 channels of MPEG decoding and a SCSI-2 interface to the server provided the system with a significant cost and space reduction. Hot-swap board and power supply. Analog signal processing for level matching and signal measurement. 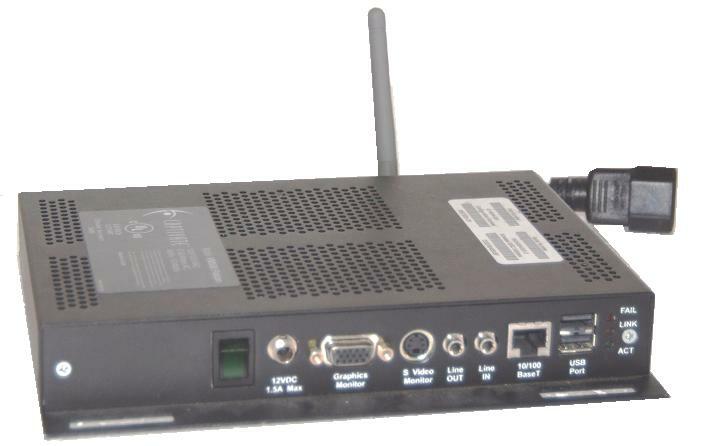 For inserting 8 Channels of video using only 4 decoders. Software functions enabled decoder sharing. Reads DTMF tone triggers and generates IP messages to trigger DPI ad-insertion systems. MDR800 has 2x GigE, 16xDVB/ASI inputs and internally up to 16 DSPs which can be combined to scale, insert logos, time delay, stream switch, de-multiplex and re-multiplex multiprogram video streams. Focus is currently on a device to receive 8 channels of ATSC (local network terrestrial digital TV) and IP-encapsulate over GigE for processing at a Cable Headend.